Cahaba River home in the heart of Hoover nestled on a ridge in Inverness area with all the conveniences! 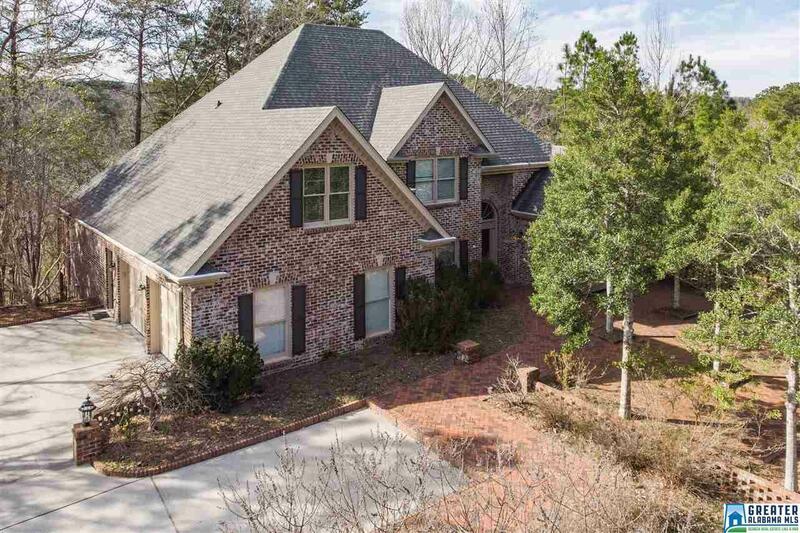 This all brick home is spacious, gorgeous views, private, no grass for low maintenance yard work, hardwood floors throughout first floor, office, formal dining, stunning living room windows looking out to woods and river, granite in kitchen, two car garage on main with zero entry into house for convenience and safety. Laundry and Master on the main level with jetted tub, over-sized shower and walk-in closet. The finished basement with multiple spaces, one bedroom, full bathroom, utility garage and unfinished space for possibilities! Community pool, tennis and playground PLUS lake for non-motorized boats and fishing.